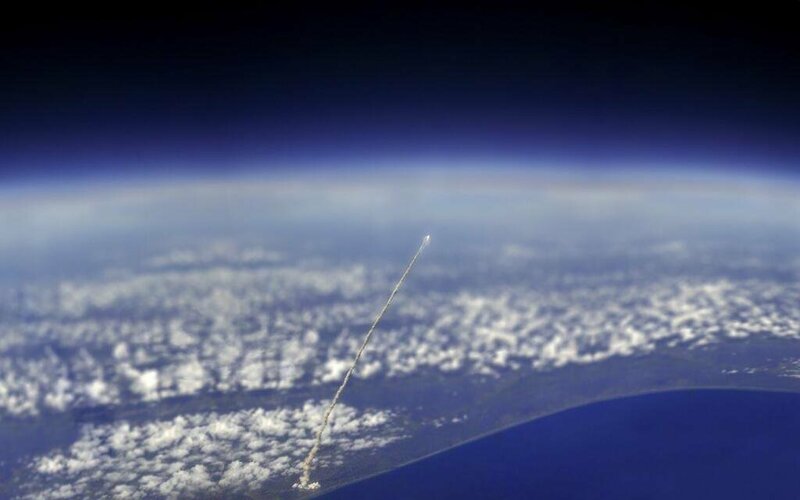 Claim: this is a photo of a rocket launch as seen from space. This photograph shows the launch of space shuttle Atlantis on September 9, 2006. 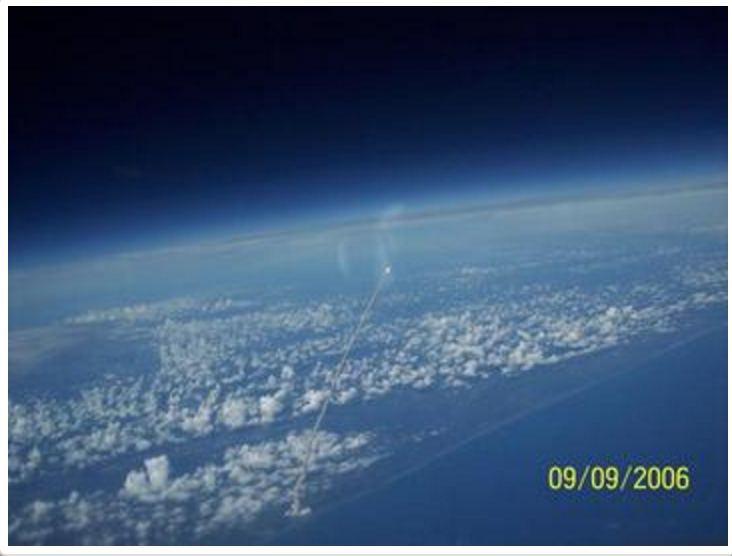 It was not photographed from space, but from a high-altitude aircraft – NASA WB-57. Original photo below for comparison. The viral picture has been blurred and tilt-shifted. See also: Hoax of Fame blog.